Hi! I'm Barbara Reagan - How Can I Help You? There's no place like Richmond, Virginia - filled with lots of history, a foodie's haven, new craft breweries opening up all the time! There is the James River and plenty of trails throughout the city and the counties! And, of course, small town friendliness in a great city! I love Richmond, my adopted hometown! And one of the joys I get from helping my buyers, seller and relocating clients is showing them around the city and showing them everything that Richmond has to offer! The Best Service - The Best Results! I love being a Realtor! I love the real estate business & have been a full time Realtor since 1996! I have the experience & local knowledge to help answer your many questions you probably have - what's my home worth? How should I get it ready to sell? Should I sell my home first or buy a home first? When is the best time to buy a home? Where should I buy a home? My goal is to be your #1 Realtor and to earn your future business & referrals! I Will Not Sell You A Home - I will help you find that home that is perfect for you and your family! I Will Not Sell Your Home - I will help you get your home sold so that you can move on to the next chapter in you and your family's life! Constantly Learning - To Be The Best Realtor For You! I specialize in new construction, first time home buyers & first time home sellers, and relocating clients! I welcome your questions - even if it is only one or two! Seller just purchased this home, and now they are being relocated! This is your chance to get a totally remodeled home in a great location & great Chesterfield County schools! Hardwood floors resanded & restained, updated kitchen with new cabinets/fixtures/granite/rolling island/refrigerator-& more! New HVAC, roof & vinyl windows installed (per previous MLS listing). Room sizes are generous throughout! Oversized deck for great summer entertaining! A small creek runs along the back giving extra privacy not found in other homes at this price! The home is neutral throughout so no worrying about whether your furniture will clash with the wall colors! A paved driveway & an oversized 1.5 car garage offers lots of parking & storage! Surreywood is one of Chesterfield's hidden secrets - with a 14 acre lake as well as a swim club-the association here is voluntary. Amenities in Surreywood include Lake Surrey, a boat rack, the pool, tennis & beach volleyball. Surreywood is located only a few minutes to both the Powhite Pkwy & Chippenham Pkwy, giving easy access to anywhere in Richmond you need to go. This is a great home in a great location & will not last! See it before it is gone! "Barbara did a great job supporting us as we purchased a home. Her experience and understanding of the market was extremely helpful in order for us to make a decision on a home. Being a data driven purchaser, Barbara provided data and information around the home, neighborhood and area to help us feel good about the value of our purchase. Definitely would use Barbara again and would recommend her if looking for a home." "This is the third time I have asked Barbara to help me buy a home. She is a top-notch agent, always keeping the buyer's interests in mind. With every home we viewed, she pointed out advantages and disadvantages while considering what I was looking for. 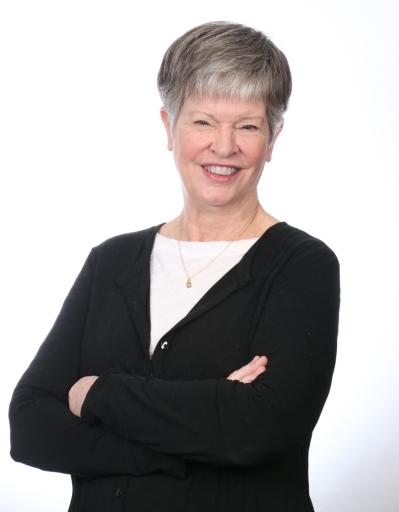 She has many years of experience and knows the Richmond market like the back of her hand. I highly recommend Barbara as a realtor." "Barbara is extremely knowledgeable and worked hard to help me. She is patient, helpful, a good communicator, and uses technology well. I will happily use her valuable skills again."